Please note: we no longer sell the kit that is compatible with the printer. If you would like to develop your own adapter based on one of our standard kits, please let us know. 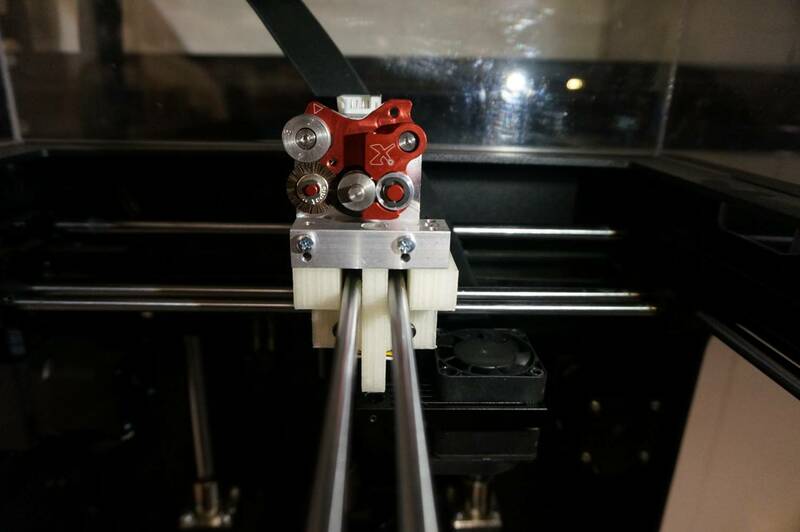 A lot of people have asked about the Flexion Extruder on the Zortrax M200 clones: Wanhao Duplicator i6 and Maker Ultimate. 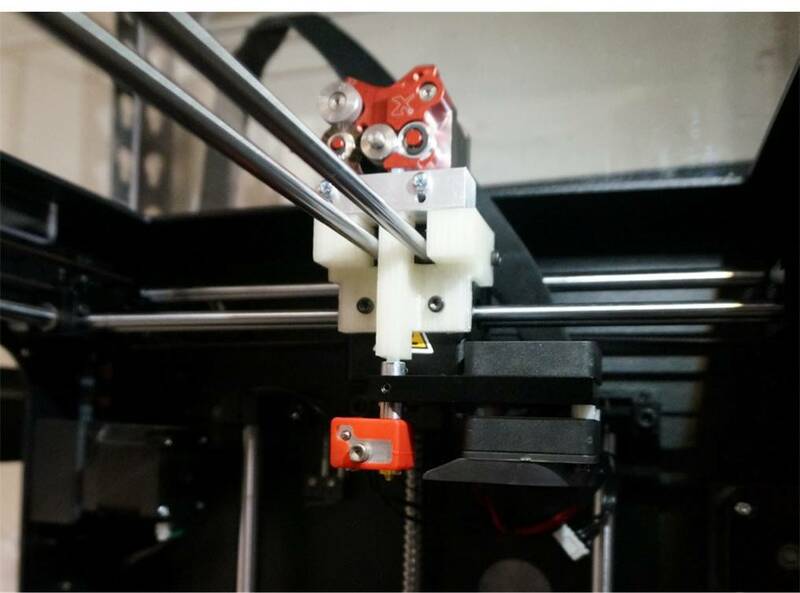 We have created a custom kit to allow the installation of the Flexion Extruder, and the fast, easy printing of flexible filament like Ninjaflex or softer, as well as all the rigid materials that you are used to. 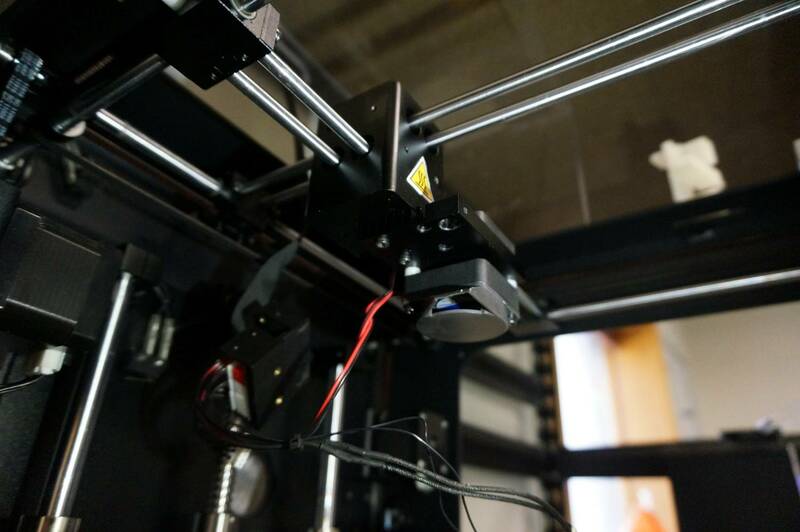 This uses the high-temp hotend from Micro Swiss, so it will work with Nylon and PC – anything up to 290°C. Read through all of these instructions before you decide if you want to buy the kit and print at full-speed with flexible filaments! Note: this installation will cause you to lose 2cm of build volume in the Y-axis. Download these files and print them from something rigid, like PLA or ABS. They will require support material. Depending on your settings, you may need to sand or shave this part down to fit – specifically the barrel that slides into the mounting block. Kits now include the excellent Micro Swiss clamping heatsink to improve thermal performance. Replace the stock heatsink with this by swapping over the fans. 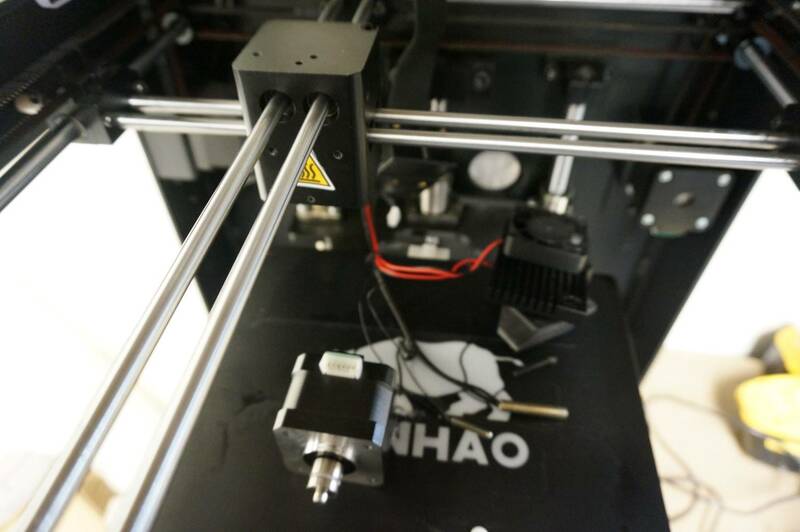 Move the heatsink forward by 2cm by aligning the back 2 holes on the heatsink with the front 2 holes in the extruder base and attach with 2 of the screws from the heatsink. 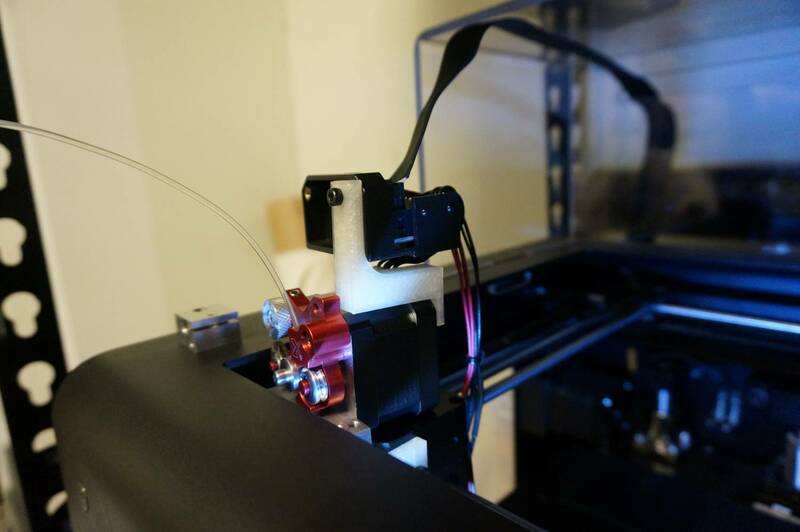 Follow steps 5 and 6 here to assemble the Flexion Extruder to your stepper. Attach motor assembly to mounting block. Plug motor connector back in. 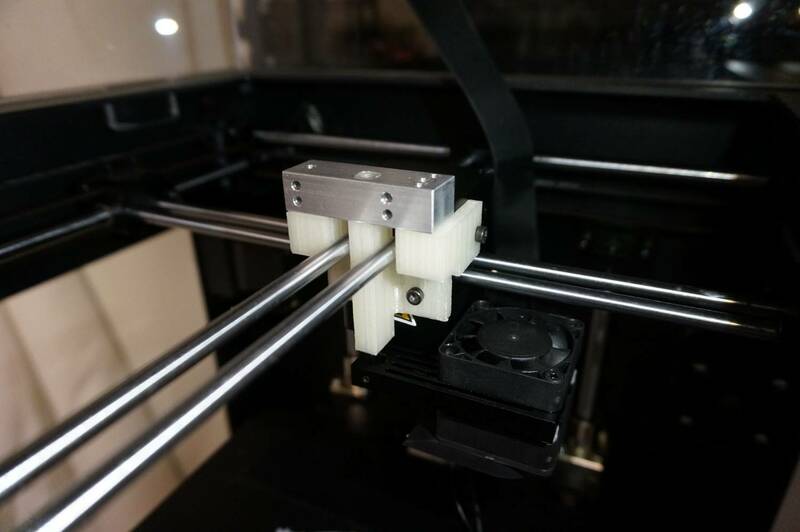 Install upper housing adapter by removing stepper motor screw and replacing with the M3 x 35 screw provided, and attach upper housing using one of the screws that attached the front plate to the extruder base. The nozzle was moved 2cm forward, so you need to move the limit switch to make sure you don’t lose any build volume. 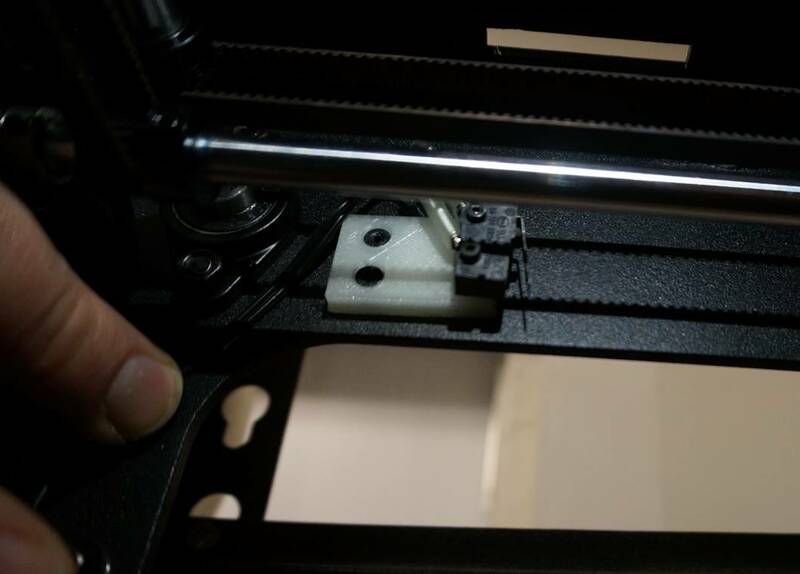 Adjust tension (every time you change filament): Maintenance>Advanced>Insert Material. 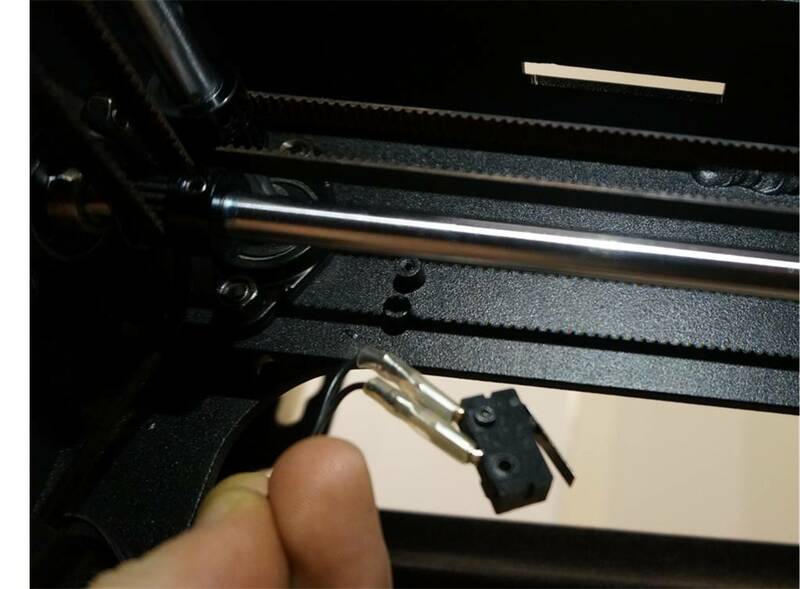 While filament is loading, tighten adjust screw while holding filament between two fingers. The extruder should pull hard on the filament. If your motor clicks (stalls), loosen adjust screw by ~1/8th turn. You are all done! 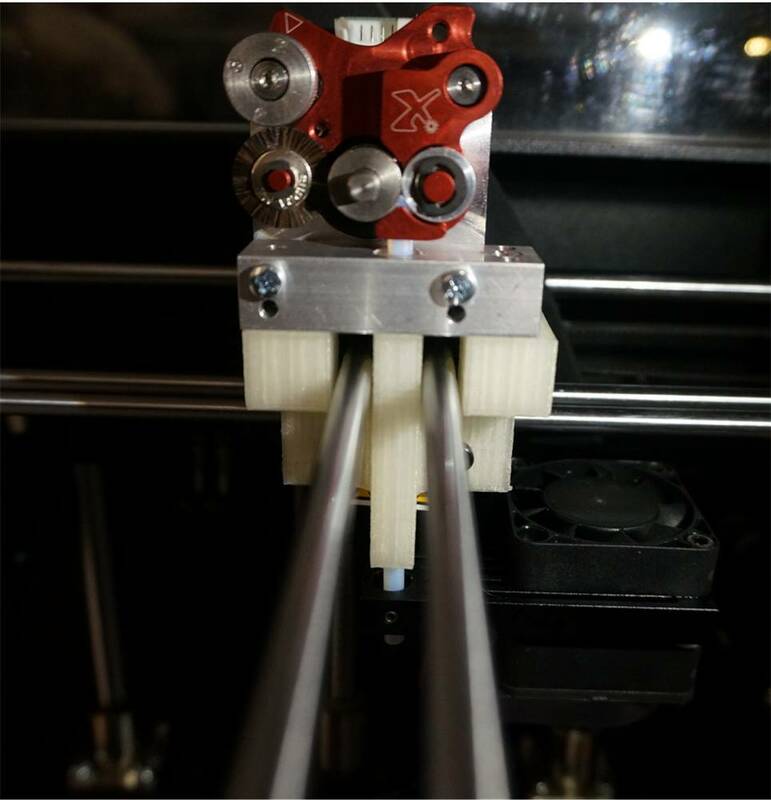 Set your extrusion multiplier about 10% higher to start, and adjust from there. Your temperatures may be slightly different as well, so be sure to adjust temperature +/- 10°C. Go get some Ninjaflex, or a sample of Flexmark7 for the ultimate flexible filament experience.